Fans of Mr. Robot may have to wait awhile before season three. 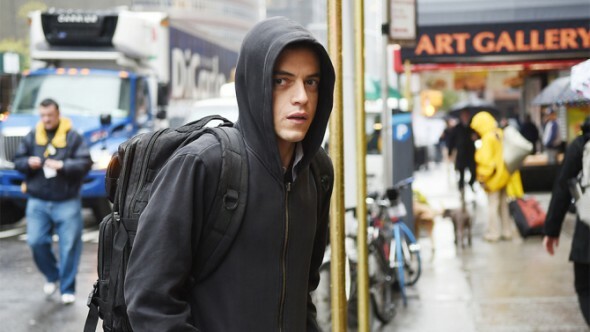 Series creator Sam Esmail recently said he’d like a longer break between seasons two and three of the USA Network show, reports Entertainment Weekly. The hacker drama stars Rami Malek and Christian Slater. The show’s already been renewed for a second season, but not a third yet. Personally, I think this is another weird, archaic judgment on television shows, where you have to bring them back at a certain schedule or you’re going to lose your audience. I’m just going to say this: I think it’s bulls–t, especially at the cost of the quality of the show. Season two of Mr. Robot premieres on July 13th at 10 p.m. ET/PT. What do you think? Are you a fan of Mr. Robot? Do you think there should be a longer break between seasons? More about: Mr. Robot, Mr. Robot: canceled or renewed?, USA Network TV shows: canceled or renewed? I understand that writing and/or directing every single episode of a show’s season can be tiring for just one person. But fans of a particular show will get tired of an extra-long break between that show’s seasons, so it is true that show’s cast and crew has to get some (but not exactly all) of its season’s episodes ready before a certain point in time. I think if season 3 of “Mr. Robot” is pushed past the fall of 2017, that could really be bad for its audience, and possibly its ratings. This could be a big mistake. I’m sure there is a lot of work involved in making these episode. Maybe you need to get some more help. Don’t make everyone wait until 2018 for season 3.